Before my operation my Crohn’s/Colitis made court reporting an almost impossibility. I used to sit in agony in courtrooms wringing my hands together until they went white with pain under the press desk, jiggling my legs up and down to try to distract myself from the agonising need to go to the toilet – a need that never left me and always raised its ugly head at the most important moments of a case. Covering the courts became both a joy and a punishment for me. The real challenge lay not in the reporting of the cases but the endless sitting and waiting, waiting, waiting for your case to come on. For most people the waiting would just be boring, for me it was agonising. While I was interested in the cases (if you have never sat in court and listened to mitigation and witnessed the general drama it is definitely a must – and is nothing like the telly) the constant need to race to the toilet every ten minutes made the waiting unbearable. I once dared to nip to the toilet after waiting through around three hours of driving offences, curfew amendments and restraining orders while feeling like my stomach was being ripped apart from the inside by a claw hammer. I remember racing out of the courtroom to the toilet – which is NEVER near enough to the courtroom you are in – thinking it will just be my luck if they finally hear my case now. I finally raced back to the courtroom five minutes later, still very much in the grip of the blood and pain, only to bump straight into the barristers for my case as they walked towards the Robing Room having heard the case – just typical. Lesson learned – in the past two years I would rather have passed out than nipped to the toilet again! Yes, I admit it the fear was always very real that I would pass out through the sheer effort of staying up right in my seat, and I am sure there were times that a jury member or even defendant has looked at me and thought ‘dear God that woman is about to collapse’. I lived in fear of an accident, and in even greater fear of someone making me move whenever a wave of pain flushed over me – when I was still I felt slightly more in control. And I am sure that all the press benches in the magistrates and crown courts that I’ve had the pleasure of sitting in have finger nail marks indented so far into the underside of the wood their imprints could almost be seen through the top. So after years of covering court cases with the nightmare of my constantly flaring Crohn’s/Colitis, dealing with my ostomy while doing my job seemed like a reality walk in the park. Yes there was always the slight embarrassment of having my ostomy bag changing kit searched through by the security team, (and once or twice having to hand in my rounded cutting scissors at security as a ‘dangerous’ implement) but apart from that attending court was a relatively easy experience. So imagine my surprise when today my ostomy started acting up while I was sat in court patiently listening to each case and waiting for a jury to return. I won’t go into details but I could feel something was going on, and going on, and going on…and boy it just wasn’t holding back, in fact Winnie was going hell for leather. And for the life of me I couldn’t understand why. So the next two hours were quite frankly hell. I quickly realised that Winnie was going to have to be emptied or we could end up with a pretty crazy situation in the courtroom. Basically Winnie was a ticking time bomb, and I sat sitting nervously trying to concentrate on my shorthand and what the counsel were saying to try to distract myself from the imminent explosion that was building up inside me. The pressure was unbelievable…but I was determined not to leave the room..my old fears about missing things while on the toilet returned and after grimacing through some of the worse pain of my life, there was not a chance in hell that I was going to miss the verdict because of my ostomy – yes, that is how stubborn I am. Ok, the situation was made worse by my remaining colon continuing to contain active Colitis and me feeling the need to go all the time. The whole thing was unpleasant to say the least, and I just knew I needed to rehydrated and possibly stuff my face with marshmallows to stop this onslaught from Winnie or I would be in a whole new world of trouble soon. The moment the judge broke for lunch was a blessed relief. I think I actually sighed audibly. As I stood up the weight of Winnie was horrendous and I had to hobble like I had bricks in my pants down the stairs, round the corner to the loo. Court toilets are never an extremely pleasant experience, but I won’t bore you with that. By the time the day was over I had avoided several natural disasters and learnt a real lesson. While I was in agony with my IBD and the urgency and pain often led to accidents, I could often cope even though it meant me almost passing out with pain until I had a chance to reach a bathroom – with my ostomy this is not the case. There is no grin and bear it. Yes the pain is considerably less, yes the blood is there but it isn’t by the bucketload, but no I can’t stop the flow or ease the pressure when its started…if I wait, sooner or later she will fill up and then, eventually….BOOM! (now that would be a story)! I will have to learn to cope with it. 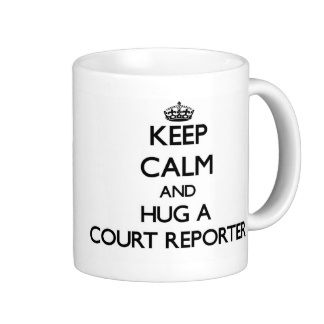 I love court reporting and I love my job, but I have to keep a close eye on things and remember I’m no superwoman, I’m still human…and, well, Winnie is just a stoma bag she’s not a miracle worker.